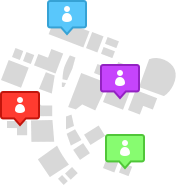 Colorize allows you to see your customers sorted by color on the map. Click once to turn it on, click again to turn it off. 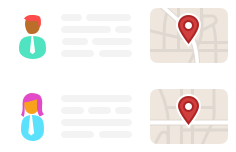 You can use filters to better segment your customers on the map. In order to filter your accounts, you'll need to add at least one field and start adding data to it in your accounts. Need help? Watch our videos, call 415-592-5909 or email us. We're still mapping your s! You'll see visualize options when mapping is all done, so check back soon. We suggest you try again, and if you still have issues, give us a call at 415-592-5909 or email us. 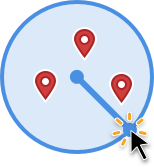 Create a route from the button below, from lasso, points on the map, or places. 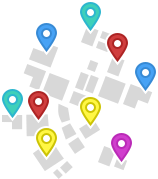 Optimize it, and get there faster with less hassle. You have an empty route! 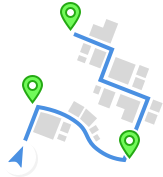 Click on a point on the map to add it to your route and optimize away all your cares. We suggest you try again, and if you still have issues, give us a call at 415-592-5909 or send us an email. You have no saved routes! Cure this screen's emptiness by saving a route under "Current Route". Click and drag on the map to draw a shape! Click and drag on the map to draw a circle! Looks like there are no points in the shape you drew. Give it another shot! A Badger Maps Team Specialist will reach out to you to finalise the setup. A Customer Success Specialist will reach out to finalize the team and send an updated upcoming invoice for your team. Looks like your account is integrated with a CRM! Please get in touch with your account manager for next steps. If you don't get an email with password reset instructions, please contact support.